After a 20-hour standoff and negotiations, a former vice mayor of this town was peacefully arrested by police operatives inside his residence in Barangay Poblacion here Friday afternoon. Senior Supt. 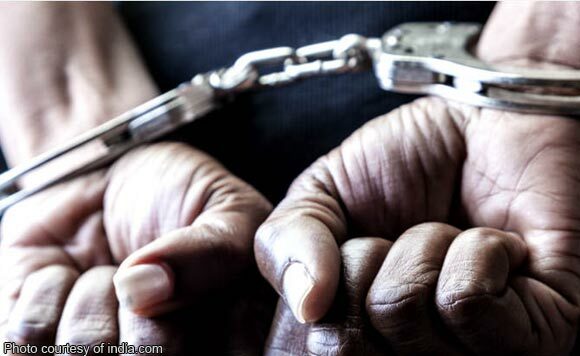 Chito Bersaluna, Bulacan police director, said Andre Santos, who is running in the 2019 elections, was being served a warrant of arrest for qualified theft when he locked himself up in his room. The warrant was issued by Judge Aida Estrella Macapagal Fojas of Regional Trial Court Branch 195 in Parañaque City. Led by Bersaluna, the arresting police operatives entered the house and threw tear gas inside Santos’ room that led to his capture at about 4 p.m. Seized from the suspect was a .45 caliber revolver. “The suspect is said to be emotionally disturbed and has been using illegal drugs,“ Bersaluna said. He said that at noontime Friday, Governor Wilhelmino Sy Alvarado joined the police in negotiating for Santos’ surrender.